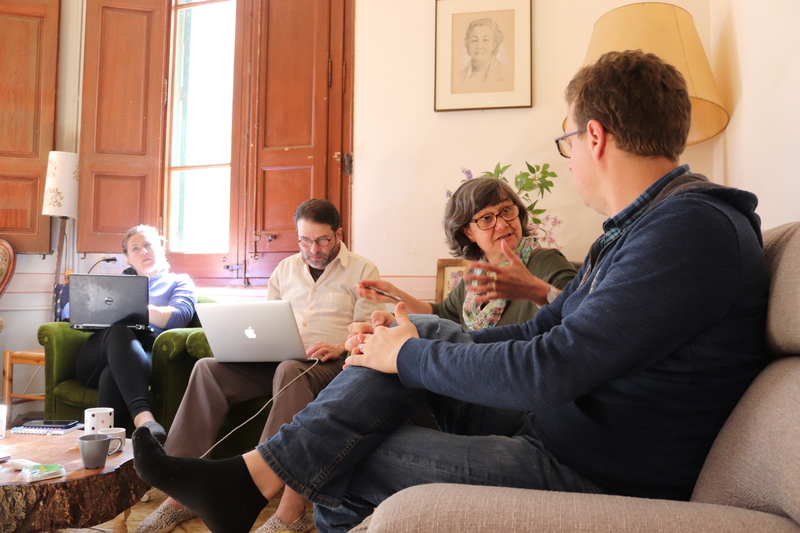 Eugènia Martí and Susana Bernal (Center of Advanced Studies of Blanes), and Jen Drummond (Birmingham University) have organized the 1st Slow Science Workshop hold at Villa Maria, a 19th century chateau at Santa Maria de Palautordera (Catalonia). During 10 days, 16 scientists from different countries have revisited old paradigms and proposed new ones about factors driving the variability of hydrological, biological, and biogeochemical processes along fluvial networks and over time. The main goal was to better understand the resilience of fluvial ecosystems and their memory to past perturbations and climate change. No hurries, no worries. Slow Science is based on the idea that science is a slow, creative process, not meant to provide “fast solutions” to societal problems. Slow Science support scientific research based on genuine curiosity and considers as secondary goals those based exclusively on productivity indexes. Next Article Can citizen help improve risk predictions on mosquito-borne diseases?